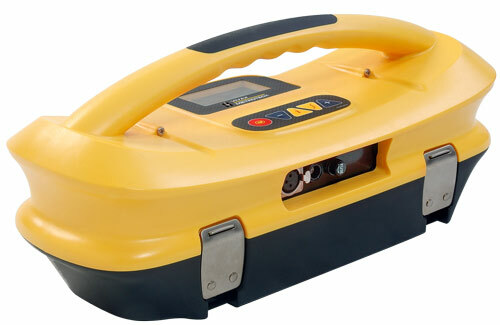 The vLocML2 is a multi-purpose cable and pipe locator with a factory installed option to locate various buried passive “EMS markers” as used by utilities. The unit is recognisable by the carbon fiber collar near the base of the antenna tube. Other manufacturers use clumsy fold down antennas, or heavy internal ferrite antennas. The best solution is a permanently mounted lightweight carbon fiber encased antenna. Simultaneous cable/pipe and marker location allowing the user to trace a line and be warned when a marker, indicating a point of interest such as splice enclosure, is approached. The Loc-1Tx, Loc-5Tx, Loc-10Tx have internal batteries. 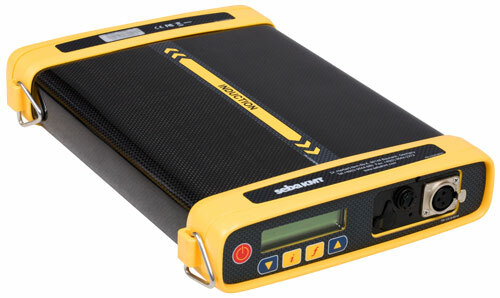 The FLS again is externally powered with 50V DC (standard) or 100-240V AC (option). The Loc-5Tx and Loc-10Tx can transmit 2 frequencies simultaneously. The Loc-1Tx, Loc-5Tx, Loc-10Tx have internal batteries. See the relevant transmitter data sheets for a full details of features and performance. 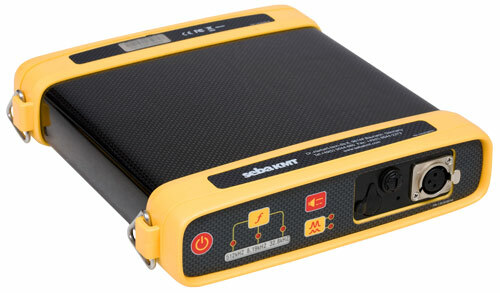 Loc-5Tx (5 watt) transmitter has multiple frequencies, signal direction and sheath fault locating modes. Loc-10Tx (10 watt) transmitter has our maximum number of frequencies and a true 10W of output, together with signal direction and sheath fault locating modes.